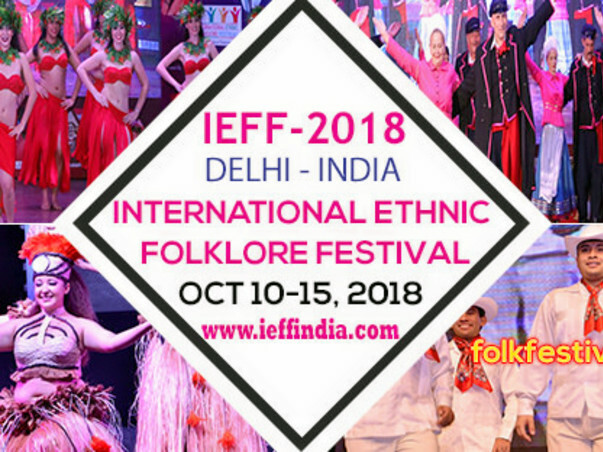 INTERNATIONAL ETHNIC FOLKLORE FESTIVAL-2018 , Delhi-NCR-INDIA, is going to host its 4th Edition from OCt 10-15 with 150 International Artists and 150 National Artists. International Ethnic Folklore Festival started in 2015, an initiative by Shrustii Multicultural Centre a Non Profitable Organization as a unique project, one-of-a-kind in the world of folklore dance and music with a tag line Let's dance for world peace, where we celebrate and to promote the elapsing World folklore on Indian Stages. 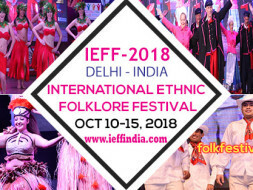 IEFF showcases 7-10 International Folklore Ensembles with 10 National Ensembles which brings the world folklore artists together on to a single platform. In contemporary times, we are losing the touch from our “cultural roots” and folklore culture in the process of modernization. The concept of the festival meets the actual world trends of folklore culture popularization. Particularly, it corresponds with the initiatives of UNESCO that has called the world community to active promotion of dialog between cultures and generations through folk art. As this is of Folklore festival, we are not getting the sponsors from the corporate sectors, Banking Sectors, & surprisingly from colleges and from the Public too. In IEFF-2015, we showed 196 International Artists and 50 National Artists, In IEFF-2016, 204 International Artists and 100 National Artists, In IEFF-2017 , 120 International Artists and 150 National Artists. International Artists will come to INDIA with their own Flight tickets but we have to take care of their food and accommodation and the stages of performance, which is becoming difficult for us to deal with. We are still in the process of encouraging the people to know about the Folklore Artists and the Festivals.